Creación de objetos individuales con pinturas líquidas. 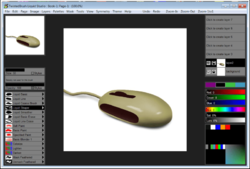 Liquid Studio es un producto que nace de TwistedBrush Pro Studio pero que se enfoca en la creación de objetos individuales que puede usar en otro Pro Studio u otro software artístico y con una interfaz simplificada y más sencilla. Las pinturas líquidas le permiten modelar y dar forma a sus objetos y luego pintarlos con los pinceles incluidos, con los resultados como líneas nítidas que puede ver en el software de ilustración pero sin la necesidad de enmascarar nada. Incluso puedes seguir dando forma a tus objetos después de pintarlos. 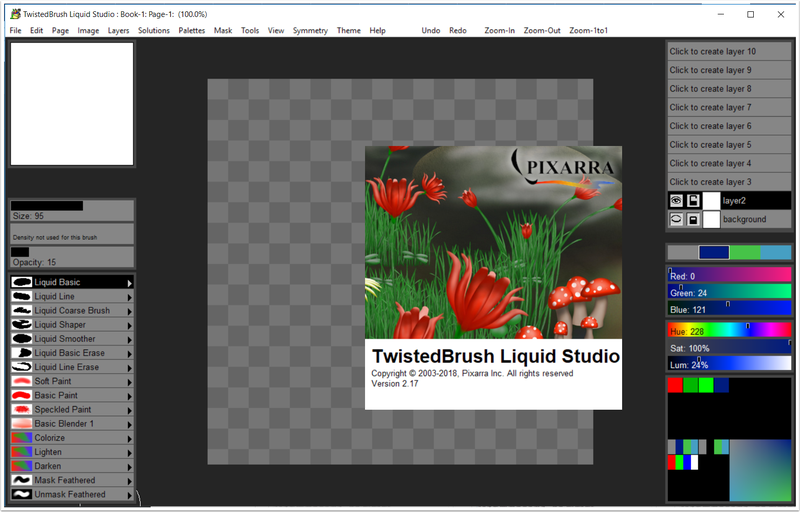 TwistedBrush Pro Studio is a program for digital artists of any level: from novice to professional. 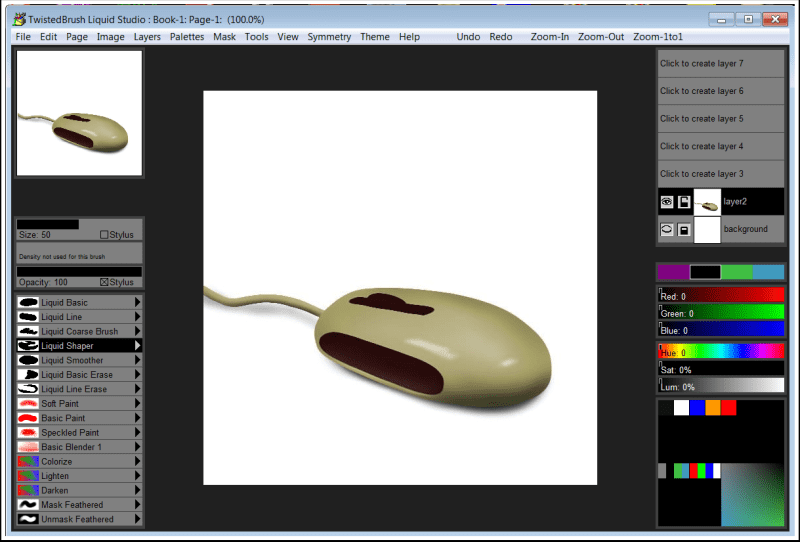 Strong focus on natural media painting, photo editing and illustrative styles. 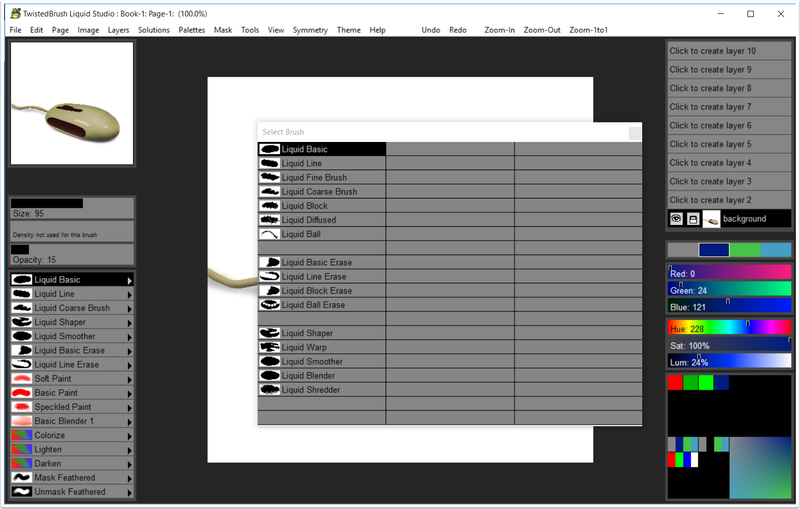 TwistedBrush has more than 9000 brushes in over 250 ArtSets! 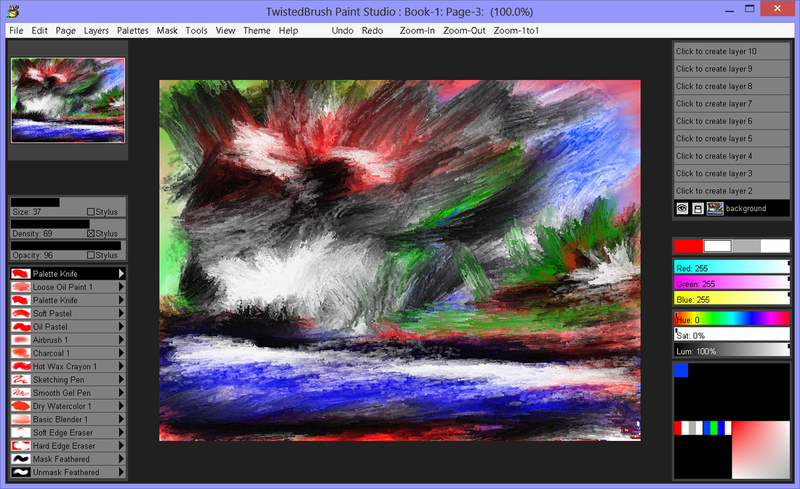 Painting and drawing with natural media brushes Paint Studio makes no compromises in offering the best of the TwistedBrush painting engine. 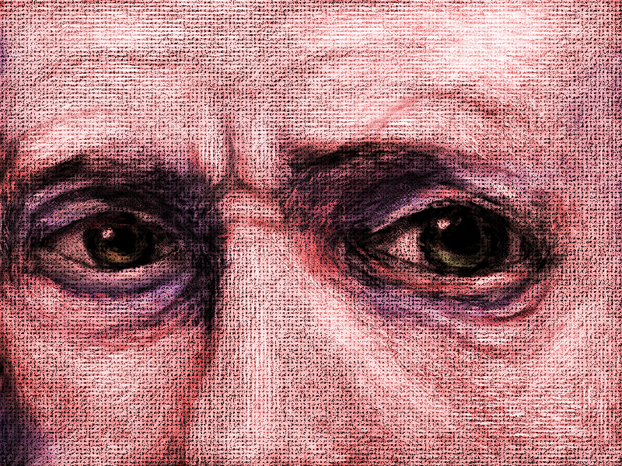 Presented in an interface that's perfectly suited for creation of new art work using expressive brushes from thick wet oil paints and fluid watercolors to slick oil pastels and fine airbrushes and everything in between. 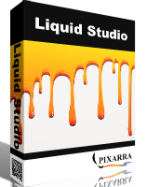 Luminance Studio is a Pixarra product in the Studio series with a focus on painting with luminance for both natural media and design style of artwork. It builds on the success of other Studio products by Pixarra, giving you, the artist, a tool dedicated to achieving your vision quicker and better than other options. 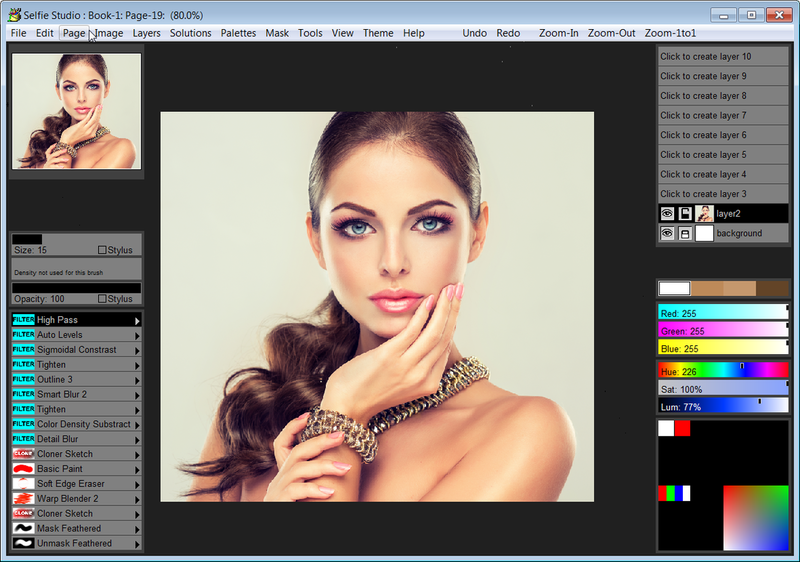 Selfie Studio provides you the creative tools to edit your photos to get just the look you want. 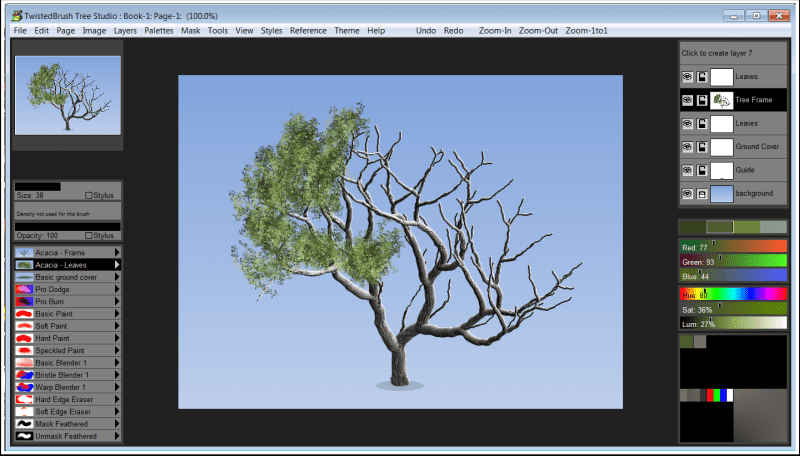 Tree Studio is a product born from TwistedBrush Pro Studio but with a focus on 2D tree creation with a simpler, streamlined interface. 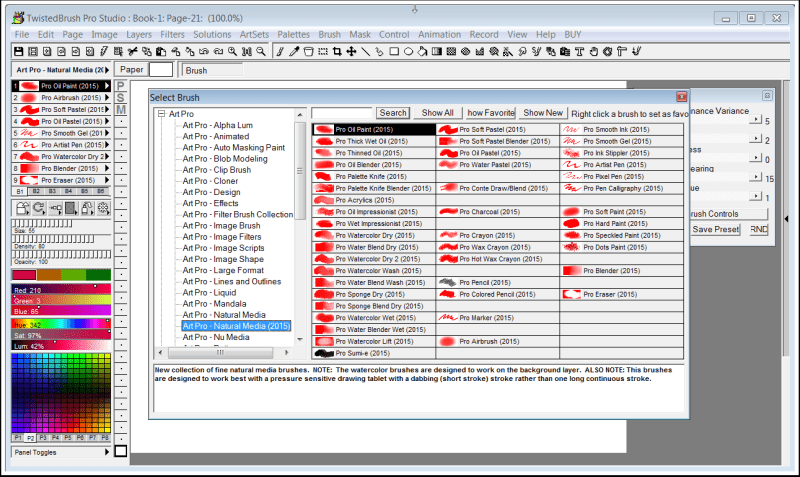 Tree Studio has pairs of brushes for each tree type. One for the frame and one for the leaves. The frame is algorithmically generated so it will be different each time. This allows you can create an endless variety of each tree type.